Since 1971, Canadians have been choosing The Brick to furnish their homes. 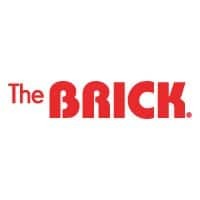 Today, The Brick has become Canada’s largest home furniture retailer. We’re known for selling high-quality household furniture, mattresses, appliances and home electronics at great prices. Come check out The Brick's Tent Sale featuring VIP one-day only offers on May 2! Find VIP offers including below-cost clearance items, as-is furniture, scratch and dent appliances, and below-cost TVs! Visit The Brick in-store for details. Don't miss this. Come check out The Brick's Tent Sale between May 2-20! Take up to 60% off original price on clearance items in the tent! Plus find below-cost clearance items, as-is furniture, scratch and dent appliances, and below-cost TVs. Please note this offer cannot be combined with any other discount or free gift purchase, sale, or other promotion, unless otherwise specified. Offer effective May 2-20, 2019 unless otherwise indicated. Visit The Brick in-store for details. Don't miss this.